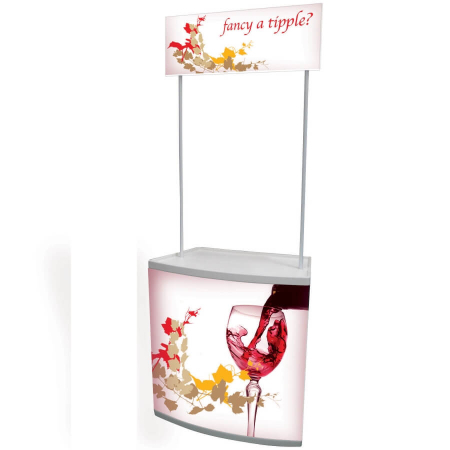 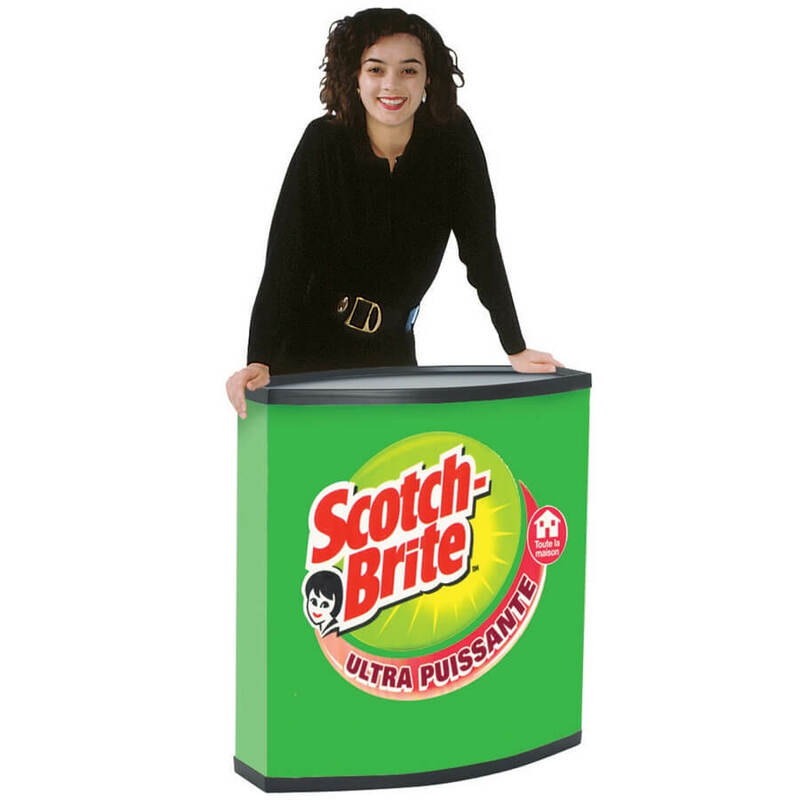 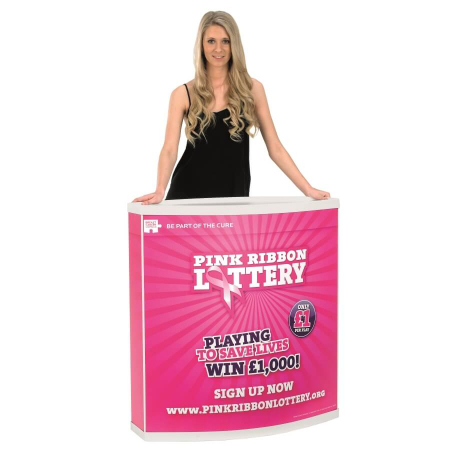 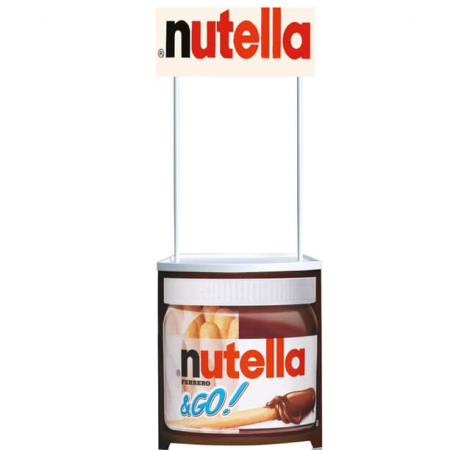 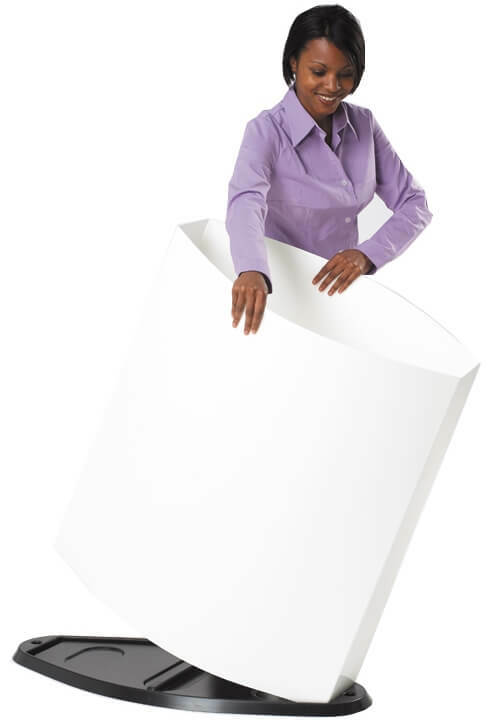 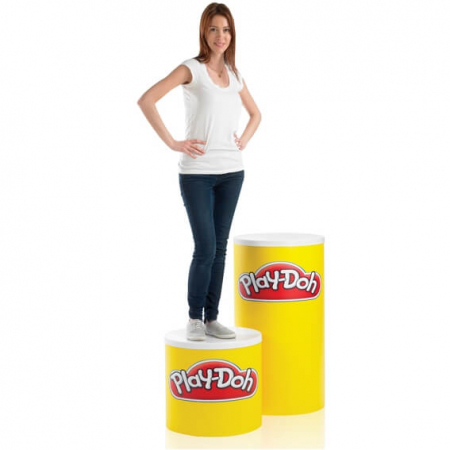 The Solus makes a great promotional counter for display and exhibition purposes as it is easy to assemble and pack away with no tools required. 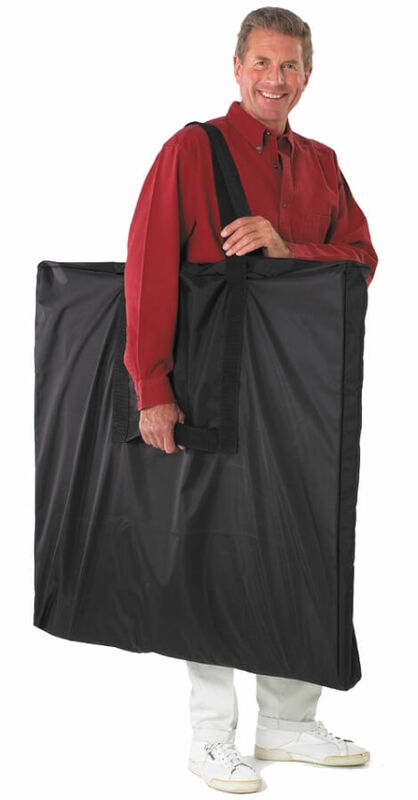 The unit can easily be transported with the included carton, or choose an optional black nylon carry bag for even easier transportation. 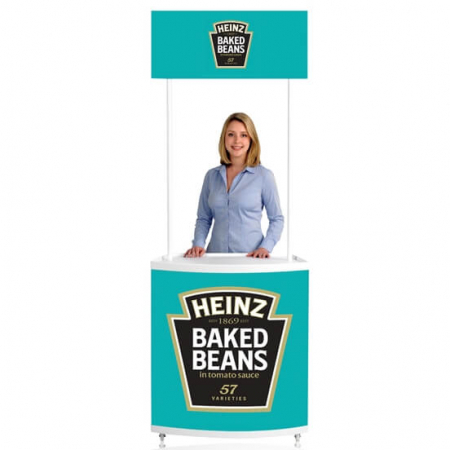 A unique feature of the Solus promotion counter is that 2 or 3 units can be stacked to create a tower which gives you additional flexibility for your display.